This afternoon, whilst browsing the shelves of a rare books shop, I found a Caspar David Friedrich book. 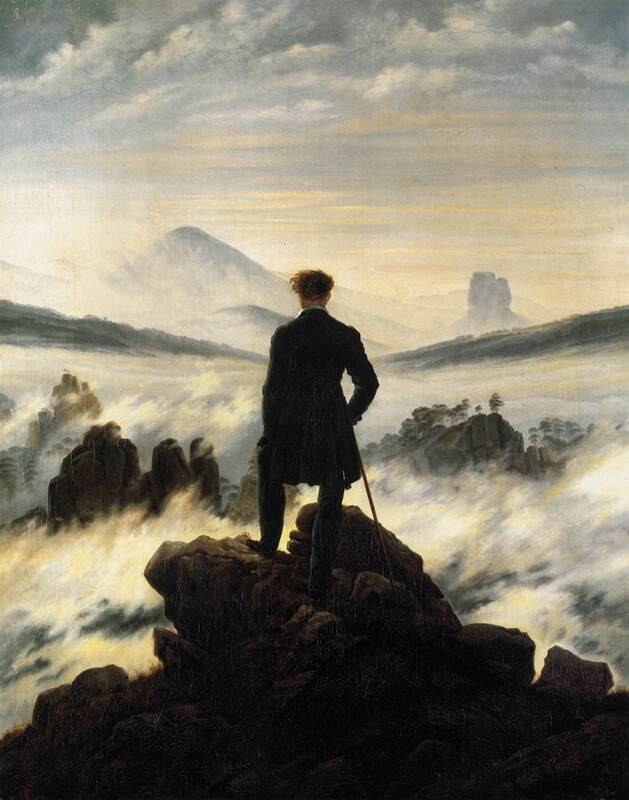 Though, unfortunately, the text is German, the photographs of Friedrich’s paintings are stunning. Friedrich is a new, thrilling discovery. Jospovici’s latest book includes an outstanding chapter that juxtaposes Friedrich’s painting with Wordsworth’s poetry.
. . . Joseph Koerner has some remarkable pages, in his book on Friedrich, about the painter’s fondness for what he calls the Rückenfigur, the figure who is and is not the painter, who is and is not the viewer, who stands at the limit of the picture, with his back to us, so that what we see is not what he sees, but him seeing. It is a good week for Josipovici books. In Charing Cross Road I found Josipovici’s first novel The Inventory and, to my great satisfaction, The Lessons of Modernism. This entry was posted in Gabriel Josipovici, Joseph Koerner by Anthony. Bookmark the permalink. >I can recommend a book on Friedrich. Packed with images, and the writing is strong. Lots of context, over Friedrich's whole life. >Amateur Reader – Thanks but the link isn't working. >Well heck. It's Friedrich by William Vaughan, published by Phaidon a few years ago. >Discovered, Thomas, but yet to get round to reading The Inquisitory, which I have on the shelves. I will look out for the two you mention. Thank you.